I have called Salina home my entire life, and I can't imagine a better place to raise my Family. I joined the Army shortly after graduating from Central High School, attempting to find what "drives" me. While serving 2 tours in Iraq over an 8 year span, I found my true calling was serving others, and helping however I could to accomplish their goals in life. I wanted to find a career in which I could continue serving Family and Friends from home. Real Estate provides me the ability to help people make the single largest investment of their lives… Home. I can't imagine a more fulfilling cause than helping a family sell their home and take the next step in their journey of life, or helping to find that first place to call their very own. This is a responsibility I take very seriously, and I am honored each and every time someone chooses me to represent them in the pursuit of their Dreams. I look forward to the opportunity of helping you find yours, and what is likely to be a lasting Friendship. Our Newest addition to Salina Downtown, Blue Skye Brewery and Eats! Sold a Single Family home in 2019 in Salina, KS. We had had this house on the market before, but it was not properly marketed and did not sell. Ashley quickly understood the potential for the property and the correct market for it and had it sold in mere weeks. So very happy with his work and the outcome! Sold a Single Family home in 2018 in Salina, KS. I was preparing to sell a home that once belonged to my mother. But as of the last eight years I owned and rented this property. After spending almost my whole summer preparing to rent again I decided I had had enough of the landlord days. It was a very hard decision and I didn’t know who exactly I wanted to have help me sell my home. But I had a friend to suggested Ashley Jarvis. She said he just doesn’t sit around and wait for a buyer he goes out and finds them. So I contacted Ashley and upon my first meeting with him I decided he was the realtor I wanted to work with and I’m so glad I did. Now I can echo the same words of my friend. Ashley listed my home on a Monday morning and by early afternoon the next day (Tuesday), the home was sold. As we worked through all the inspections, appraisal, etc. we closed on the home in about six weeks. At the closing Ashley brought me to tears when he gave me photo memory album of my mothers home, something I will cherish forever. Thank you Ashley! Ashley always made time to help me whenever I had questions, or needed help. I felt supported and informed throughout the process. I will absolutely go back to Ashley and his team. I would recommend Ashley to anyone looking to sell or purchase a home. REMAX Advantage Realtors is an excellent choice. 5 Stars easily! Sold a Single Family home in 2018 for approximately $175K in Salina, KS. Ashley Jarvis and The Jarvis Group are one of a kind!!! So compassionate about your needs as a buyer or seller and pays extra attention to detail in every part of a home sale! Not to mention his mad skills in negotiation and making sure his clients don’t have to compromise anything they don’t feel comfortable with! I will recommend him over and over again!! Truly the best!!!! Ashley was referred to us by a friend. He sat down with us and explained the process of selling a house and how best to show it. He went over any problems he foresaw with the sale of an older home. We decided that we wanted to empty the house before putting it on the market. He kept in touch with us as we packed and moved. As soon as we were ready he sent over a photographer to take pictures. Within a couple of days we received texts from his office letting us know that the house was being shown. We were notified each time someone was going to see the house and the likelihood that they might be interested. Five days after the house went on the market, we had an offer. Once an offer had been made, he went over the proposed contract and discussed what the buyers wanted from us. Our house was over 100 years old so it had problems. There were several things that the buyers wanted fixed. Ashley discussed those areas with us and helped us decide on the best response to the buyers. We were afraid that it might take a while to get to closing since some work needed to be done on the house. However, Ashley saw to it that the work would be done later and we closed right on the date specified in the contract. We could not have been more please with any other realtor. We would definitely recommend Ashley if you are either buying or selling your home. Bought a Single Family home in 2018 for approximately $400K in Salina, KS. Ashley has been excellent to work with. His professionalism, customer service skills, prompt attention to matters and wealth of information regarding local resources made buying our home a great experience. He made us feel like he wanted to ensure we found our forever home best suited to our desires and dreams. We never felt forced or rushed into making a decision but to take our time so we felt comfortable with our final decision. From the beginning to the end of negotiations it was obvious he cared that we were able to purchase the home at our choosing. We greatly appreciate Ashley's time, interest and dedication. Bought a Single Family home in 2018 in Salina, KS. Ashley is a true professional! He quickly picked up on the kind of home I was looking for & didn’t waste time showing me things he knew I would not like. He was always available & quick to respond to any questions I had. It was a great home buying experience & I’m happy that I made a friend in the process. 5 stars!! Bought a Single Family home in 2018 for approximately $175K in Salina, KS. We recently moved to Salina from out of town and working with Ash and Kelly made the process so much easier. They were always quick to reply when we had questions about a listing no matter the day or time. They were always able to schedule viewing of the properties right away, and even offer to video chat to show the house so that we did not have to travel several times to find our home. They were completely honest and offered great advice about the actual value of properties, as well as ways to add value to the home after moving in. Ash is still very helpful and always willing to answer any of our questions now that we have moved into our home. We are so glad we were able to use him as our realtor and had him to help us find our first home. Ashley Jarvis was a pleasure to work with. He was very skillful and personable in explaining our situation, the market and what we needed to do and expect. I really appreciated his "straight-forward, no -nonsense energy". I would confidently recommend and/or call on his service again if needed. I was recommended Ashley Jarvis by several co-workers in the KSARNG who had homes sold previously. 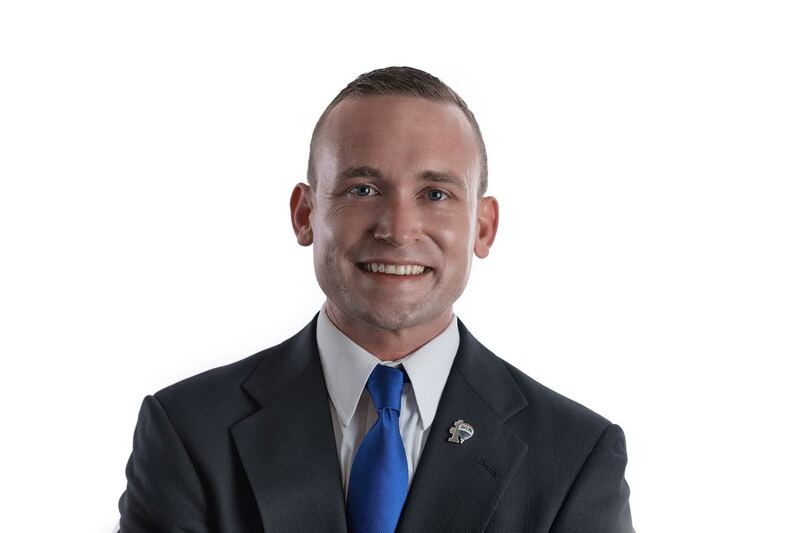 As a Veteran, Ashley Jarvis uses his experience from the military to have an impeccable work ethic. He is by far the most impressive agent that I have ever had the pleasure to work with in the seven houses that I have sold throughout the years. His marketing skills are ahead of his peers. He and his staff were very involved throughout the short period to which my house was sold. He is an agent of integrity and I highly recommend Ashley Jarvis as your next buying/selling agent. Hands down the best experience selling a home, thanks to Ashley Jarvis and his REMAX staff!